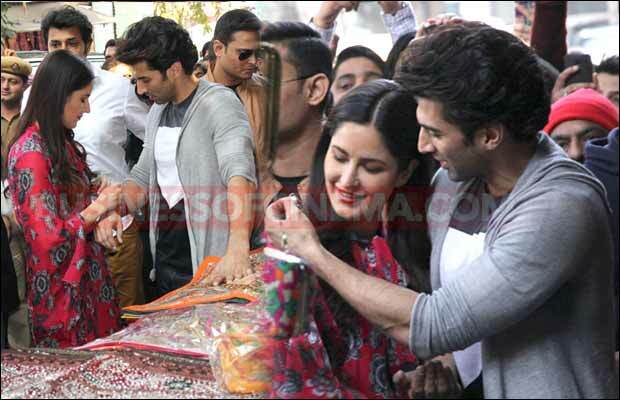 Home BOLLYWOOD What Did Katrina Kaif And Aditya Roy Kapur Gift Each Other? 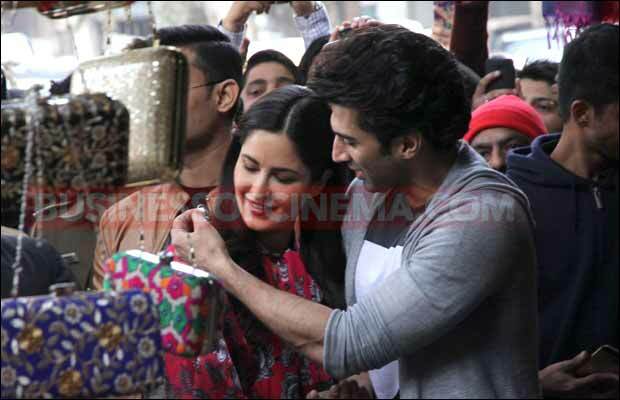 What Did Katrina Kaif And Aditya Roy Kapur Gift Each Other? 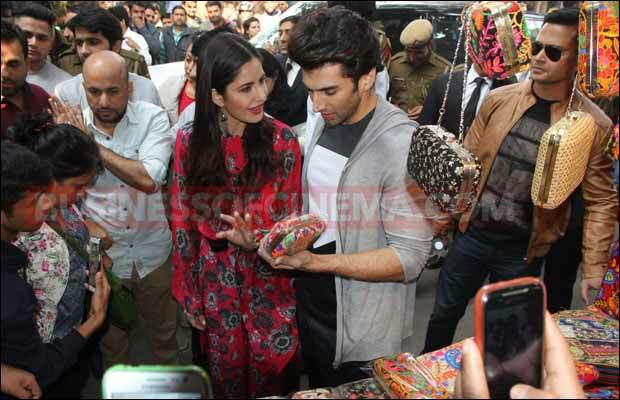 [tps_footer]Bollywood stars Katrina Kaif and Aditya Roy Kapur who are on a promotional spree for their upcoming film Fitoor, went on a shopping at Janpath market, Delhi on Saturday. The two stars who are rigorously promoting their film, were snapped on the streets of Delhi as they were on a shopping spree. The gorgeous Bang Bang actress looked pretty in red floral jumpsuit while Aditya looked handsome in casuals. 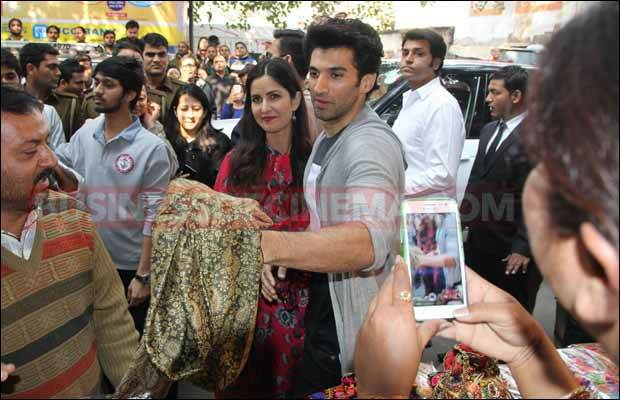 Both Aditya and Katrina had the best time on shopping. Not only that, they even shopped some stuff for each other. 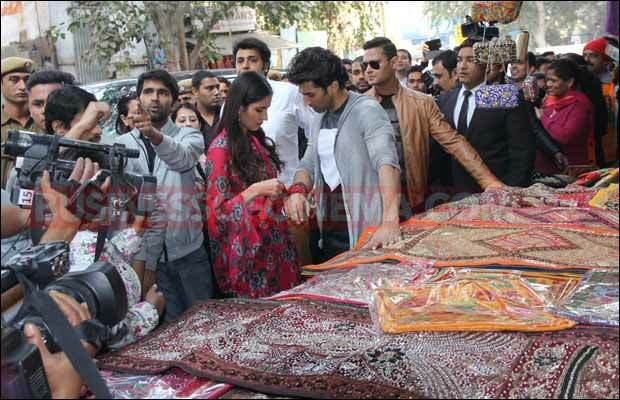 Katrina Kaif gifted a silk stole to Adtiya, while Aditya picked silver earrings for the actress. The duo also interacted with fans and clicked loads of selfies with them. As the promotions of the film are going bang on, the curiosity level to watch the film is already high among fans. Next articleHere’s What Hema Malini Has To Say About Sunny Deol’s Ghayal Once Again!